The last 6 months have been hard for me as a runner. I DNFd my March 50 miler attempt because I was undertrained on trails and just overheated and lacking mental toughness. I struggled with summer running as it really hammered me on longer runs, and shorter ones, too. I put on 7 pounds between April and September because I couldn’t say no to chips and salsa, and sugar of all kinds. And I had no goal nor the wherewithal to set one. Welcome to Funk City, USA. Population 1. I’ve been here before. I know Funk City well. There are no road signs warning you of its approach. There are no speed bumps forcing you to slow down. No welcome center to announce your arrival. You just look up one day and you find yourself Mayor. The DNF embarrassed me a bit only in that I should have been able to finish that thing. 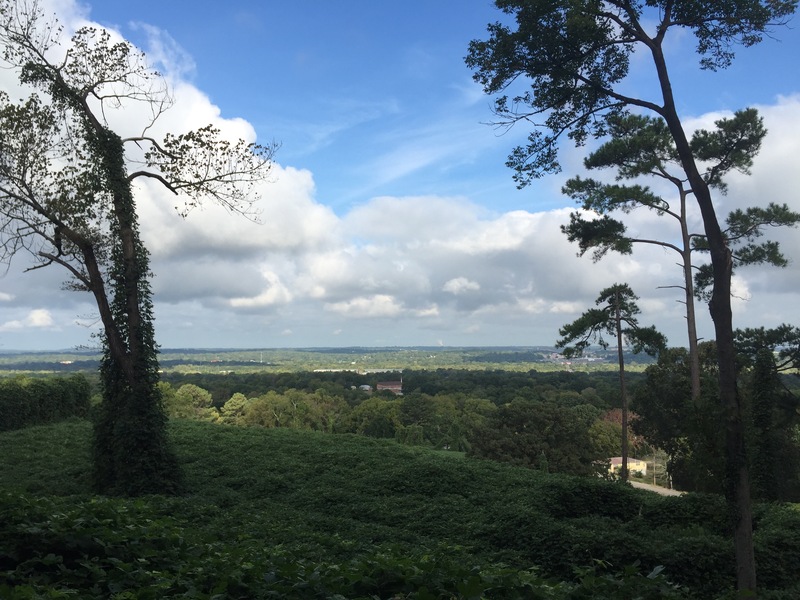 And I could’ve had I been willing to walk the next 15 miles to get it done on what was already becoming a long and hot spring day in Alabama. But my heart wasn’t there. 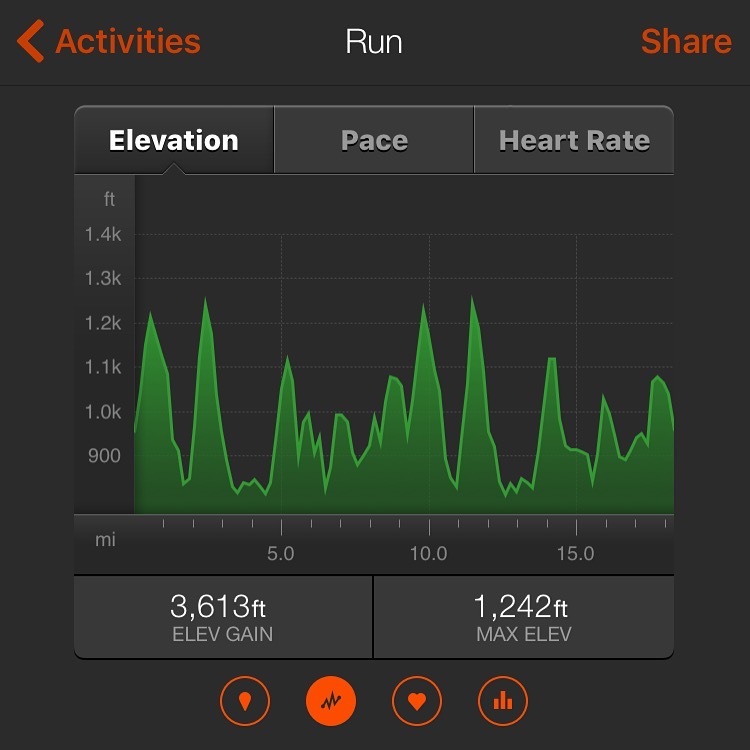 I was out of shape for trails (until that day in March the last trail run I had done was in December), and my mind was set after I got to the 30 mile mark. Get to 35, pull the plug, go home. 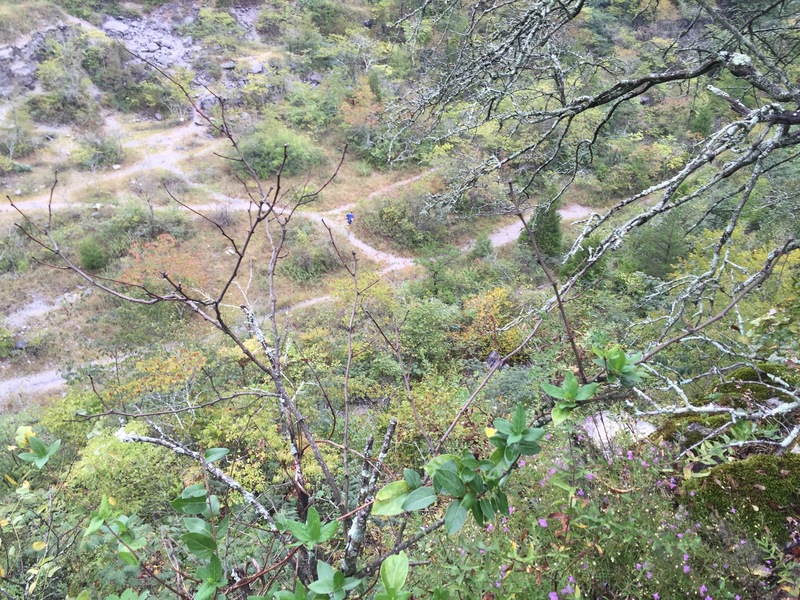 It go so bad near mid August that on a local trail run, I was miserable. I didn’t want to be there and wanted just to sit and stare off in the distance. For me the sign that I am losing focus on a run is how quickly I start thinking about my post run coffee. Coffee was on my mind the moment I got out of bed that morning. After that I broke up with running for two weeks. I focused on cross training with HIIT workouts and riding my bike. The summer and my aimlessness had defeated me and I had to create fresh headspace to move on. 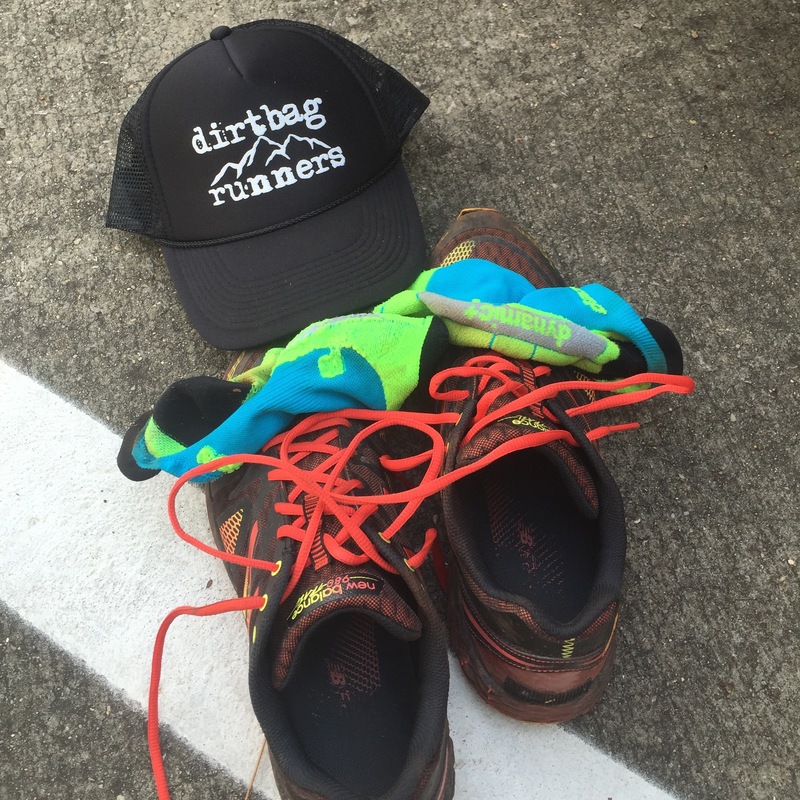 A slow return to running allowed me to start over. I put the summer behind me (in Alabama, summer is really never that far away) and looked to fall. Lower humidity, cooler temps. It has to arrive soon. That I am pacing friends for 20 or so miles at a 100 miler in November has given me something to work toward. It wouldn’t be good friendship to have 100 miler runners forced to give their underprepared pacer support late in the race. 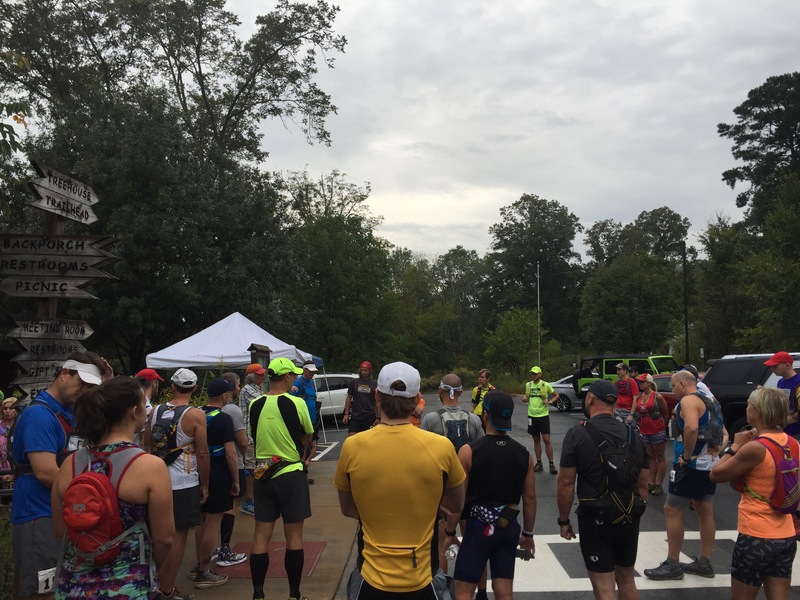 To get some trail time I ran part of the Birmingham Stage Race last weekend. No way I was in shape for all three days I decided to skip day three and focus on getting feet time on dirt. 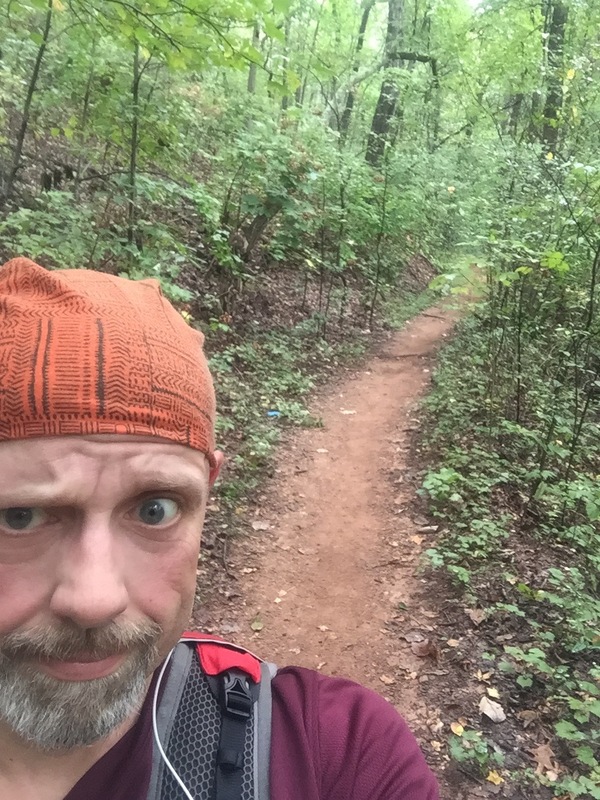 Stage 1 was at Ruffner Mountain, a place I’ve run before (see here and here). 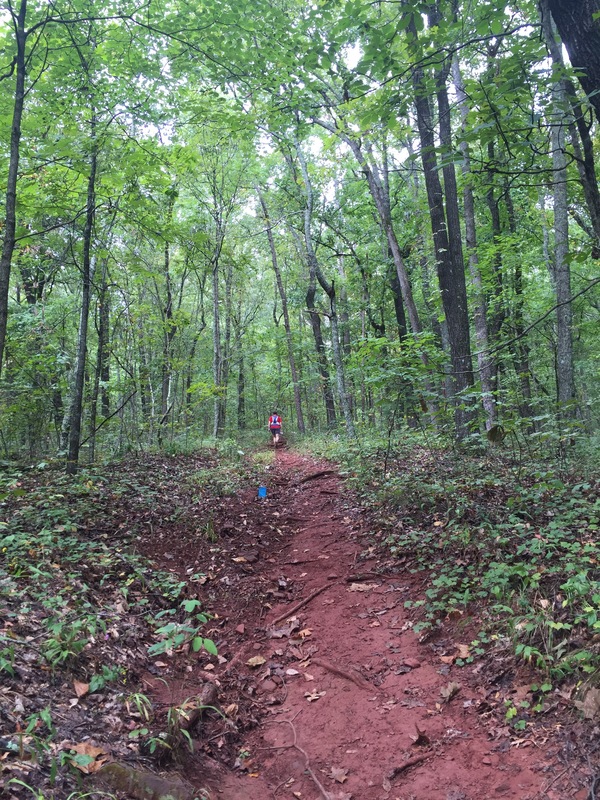 This is no easy trail run. Ruffner was a former mine, supplying stone and iron ore to the local steel mills through the 1960s. There were some “flat” sections of the trail that were nice and runnable. But for every section of “flat” trail there were long steady climbs like this one. My goal was to run slow and easy. To drink lots and to eat only dates and almonds. I wanted to get power hiking time and work on long climbs. Ruffner has all that. Other than being fabulously out of trail shape the day went as I wanted. My eating was solid and my mood only darkened in the middle of the second 9 mile loop as my fatigue built. Three almonds and dates later, I was ok. It was a long 18 mile slog, but one that not only did my body pay for in soreness, but I was thankful to have done as a shock to my system and head that I need to get back in the game. From the ridge looking down to the quarry below. See the runners? 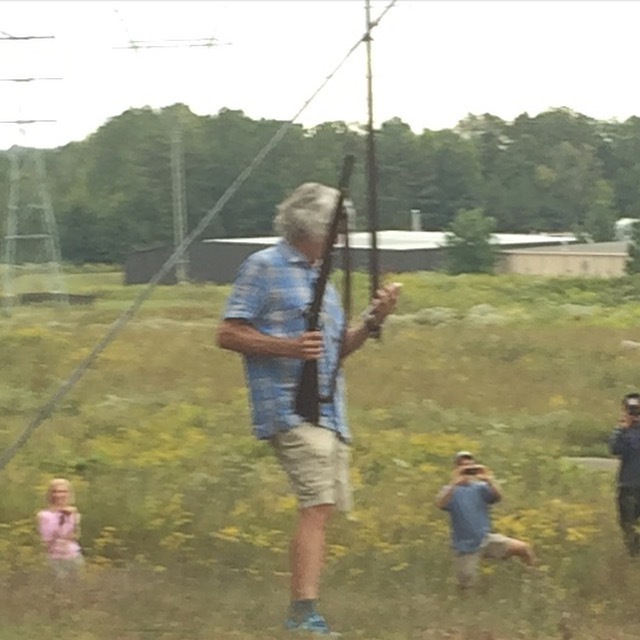 David brought along an old flintlock rifle for the starting gun. And to motivate us back-of-the-packers. I always look forward to hear how you are doing! I keep plodding along and wish I had the resume and current fitness that you have…I’m working on it! I’m glad you’re getting the bug again…wouldn’t mind “hearing” how things are going, if you’d revive the podcast. Love the photos. Thanks for sharing!